…the only paradise from which we can not be expelled. For over a thousand years the way of St. James has attracted pilgrims from all around the world. People who have walked the way never forget their experiences. caminostone.com would like to remind you every day of your way of St.James experience. Here you will receive your own milestone. 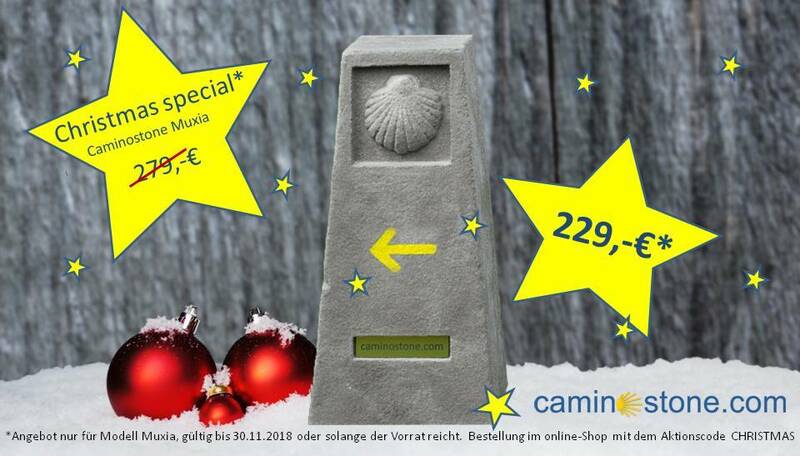 Not as a small souvenir but in the original size of the real Camino stones that show the way to Santiago de Compostela. Support a good cause! With the purchase of a stone you contribute by donating to local volunteer organizations and first responders on site to help with the maintenance and conservation of the way of St.James.